Maryland has extremely broad and general burglary laws, and we often see that this charge is wrongly used by police officers. Each year there are numerous burglary arrests, which could have been avoided simply by a warning or by the police issuing a trespass citation. But many cops would rather make and arrest and let the court system play out than simply write a citation. The consequences can be drastic for a defendant depending on which jurisdiction the case is in and it is absolutely necessary to retain an experience criminal defense lawyer to help you or a loved one facing this charge. The most common type, and also the most wrongly charged type of burglary is fourth degree burglary. The law for this offense is designed to include all types of acts. You can look at this charge as kind of a catch all for any acts that may not qualify for first, second, or third degree. The only saving grace for fourth degree is that is a misdemeanor where as the other three degrees are all felonies. This in no way means that it is not a serious offense, as a conviction can have drastic consequences including a maximum 3 year prison sentence, and a permanent criminal conviction. Amongst other things, fourth degree burglary makes it illegal for a person to break and enter the dwelling or storehouse of another. Storehouse is just a rarely used term for any place where goods are stored or sold. This part of the law does not require that the person had any intent to commit a crime such as theft. 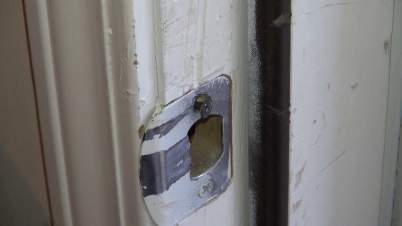 In this aspect, the Maryland law differs from some widely accepted definitions of burglary that require the defendant to have some sort of criminal intent beyond simply gaining access to a building. Our firm has seen cases where people were hanging out in an unoccupied apartment that was basically bare and empty, and the cops charged all three with fourth degree burglary. In this particular instance we were able to have the charges dropped, but our client still had to go through the process of being arrested and sitting in jail when in reality all the police should have done was to write a trespass citation. This also makes it easier for the state to prove the charge, because they do not have worry about proving the defendant actually intended to do something wrong. This law also prohibits being in the home of another or the storehouse of another with the intent to commit a crime. This part of the fourth degree burglary law takes out the breaking and entering part and replaces it with having the intent to commit a crime. The environs, which include the yard, garden, or driveway is also included in this section. So under state law you can be charged with burglary even if you never enter or attempt to enter the actual structure of the home or storehouse. Being in possession of a burglary tool with the intent to use it may also result in fourth degree burg charges. The Herbst Firm has experience handling all degrees and types of burglaries and we have fought the state to achieve actual results. If you or a loved one is facing this charge do not hesitate to contact us for a free consultation.